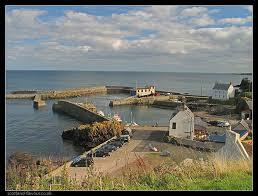 One of our longest running destinations, St Abbs is a small fishing village close to Coldringham at the end of the B6438. Our accommodation, Rock House, nestles right in the harbour at waterside, simply roll out of bed and onto Shore Diver and off to the dive site. Skipper Paul has air & Nitrox fills to 300bar in house too. Our trip is for Friday & Saturday night accommodation in Rock House, extra nights can be added usually. Rachel will cook breakfast to order at a small extra charge or you can self cater. Diving is two dives per day, returning to harbour after each, off Shore Diver. This is a fast, spacious boat with all modern safety and navigational aids and most importantly a diver lift to get you back on the boat. Usual welcome apres dive is a warm drink and biccy. Evening entertainment is either a BBQ in the courtyard at Rock House (weather dependant) or we roll into Coldringham to one of the pubs for a drink and a meal. Diving is spectacular, very colourful with lots of sea life. Most diving is relatively shallow and so suitable for all abilities of diver. Sites to look out for are Petticowick, Anemone Gullies, Tye`s Tunnel,Black Carrs, Green Carr, the world famous Cathedral Rock, Ebb Carrs and Glanmire wreck. As with all boat diving SMB use is essential at the end of the dive so please ask if you need assistance with this, we can offer full training before the trip. A deposit of £75 is required to secure your place so please call us for payment details.